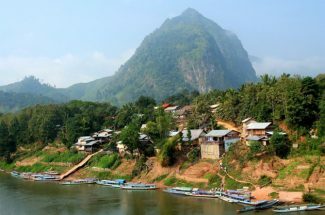 Laos has many delicious food but they are mainly non-vegetarian dishes. If this is the first time you have ever visit Laos, it is really hard for you to Laotian dishes for vegetarian right away. There are not many vegetarian dishes but doesn’t mean they don’t exist. 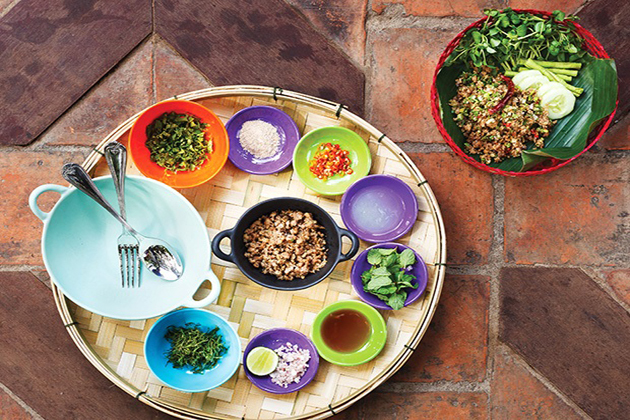 After gathering and basing on local experiences, we have concluded a suggestion of 8 Laotian Vegetarian Food. The first thing should be mentioned in the list definitely is sticky rice or “Klao Niaw”. 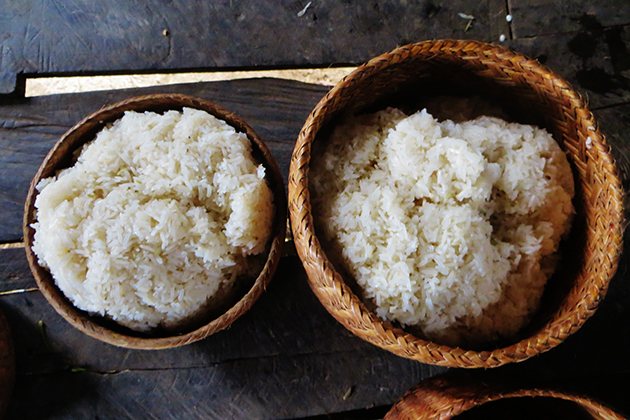 Sticky rice is food that Laotian eats more than the other in the planet. 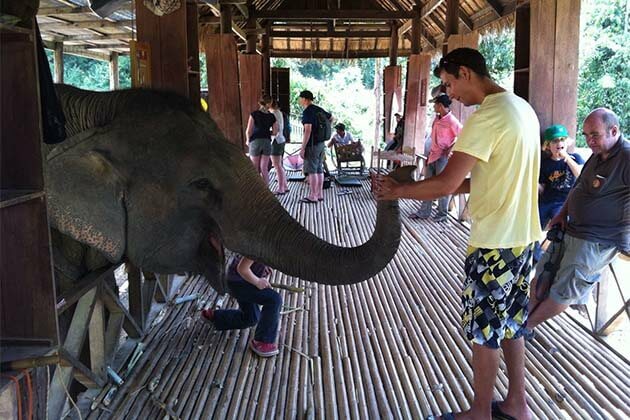 They usually eat sticky rice in every meal with dipping sauce. Sticky rice is put in a small basket and usually eaten by hand. This sauce can be made of tomatoes, eggplants, peanuts, all kind of vegetables, etc. One notice for you is that sometimes, in the sauce, it also contains fish sauce; therefore, you should ask the chef in order to make sure that there is no fish sauce in it. Or just for simple, you can enjoy the sweetness of sticky rice without any modification. 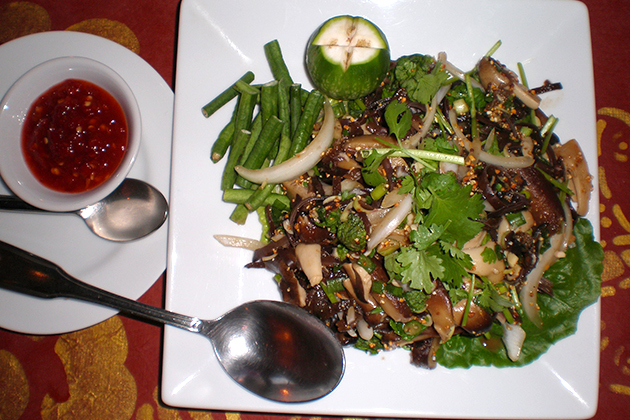 Laap is an extremely popular and delicious dish in Laos. The basic idea of Laap is a salad mixture with stir-fried chopped beef, pork, chicken or fish. Beside non-vegetarian version, they also make vegetarian laap or tofu laap. The combination of all kind of vegetables and tofu will bring the good nutrition to your health and refresh your stomach. Laap can be found everywhere in Laos: in a food stall or in a restaurant, just make sure that the chef knows that you are ordering a vegetarian laap. 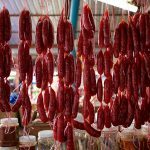 The famous dish in Southeast Asia exists in Vietnam, Thailand and Laos. Fresh and yummy are two best words to describe this dish. Remember asking the vendor to leave out the fish sauce! If not, you can try eating fish sauce once, which is an interesting experience. 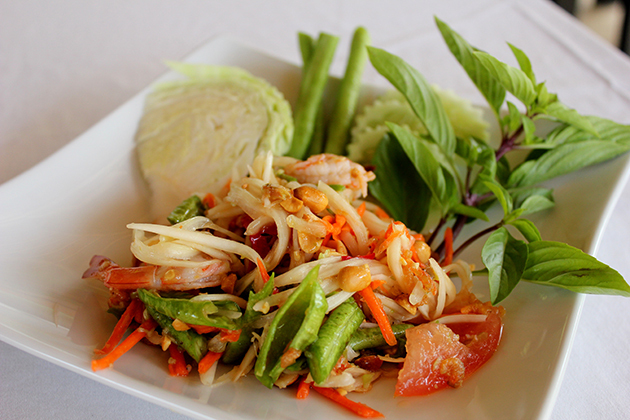 Green Papaya Salad is often eaten together with sticky rice in order to increase the flavor of sticky rice. Traditional dish coming from the neighbor, Thailand, with the main flavor of spicy and sour is not a bad choice. 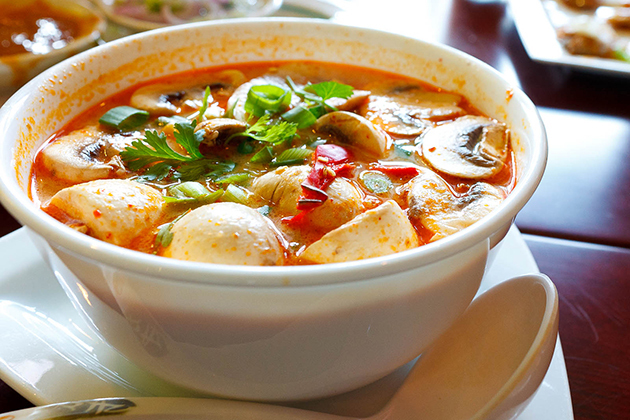 This soup is often cooked with seafood or meat but the vegetarian version is also available. Lemongrass, one of the typical herbs used as spices in Laotian dishes, is also added into this dish, which is the combination between Laotian Cuisine and Thai Cuisine. 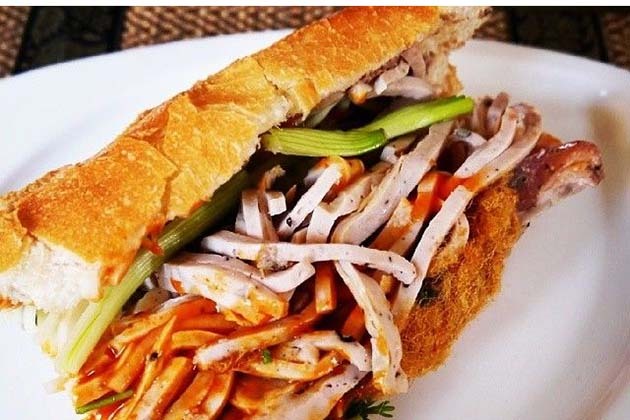 It you are a fast-food lover and want a quick meal ready to go, Laos Baguette is the most suitable one. This French-inspired food varies in many types: Beef Baguette, Pork Baguette, Chicken Baguette and Vegetarian Baguette. Instead of meat or fish, the vendor will replace it with some pickles and many kinds of fresh vegetables. 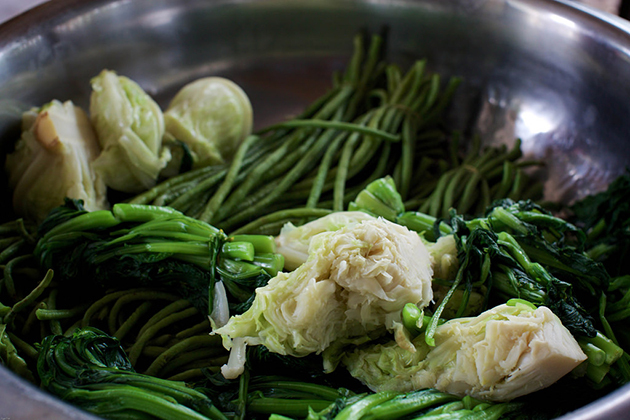 Cooked vegetable is a dish that you can easily find almost everywhere in Laos. Basically, you will have a plate of cooked vegetables and a dipping sauce in the middle. It might seem to be simple but very delicious and safe. You are control what you are eating and absolutely it does not contain any meat or fish sauce. 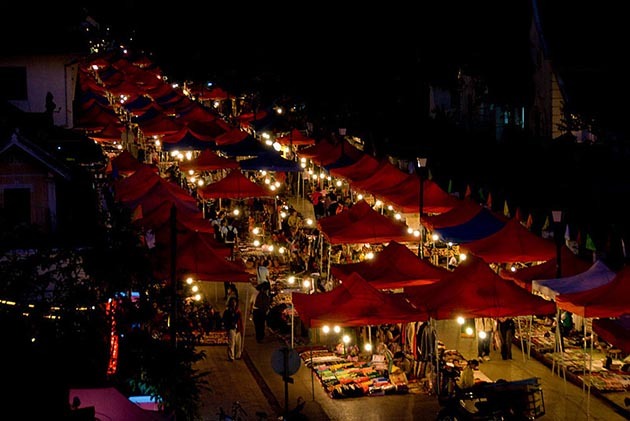 Street food actually is the heaven of food-lover; it has some special flavor that can’t be found in restaurant or anywhere else. 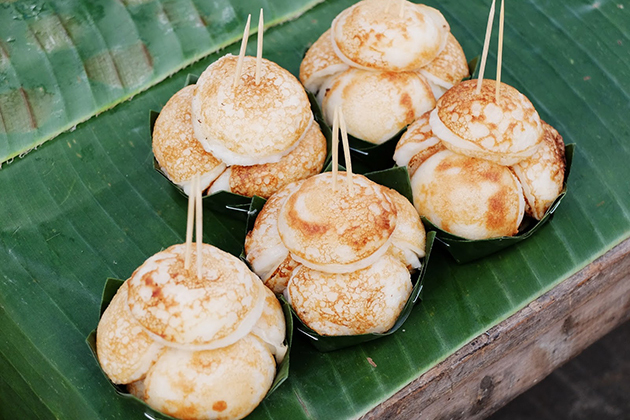 If you have ever crossed a Laotian food stall selling Khanom Krok (Laotian Coconut Cakes), it is a must to go there and have a try. You can call them as pancakes made of coconut milk, sugar and rice flour. The richness comes from coconut milk blending with the sweetness of sugar is a great treat for your stomach in the late afternoon. Moreover, about 4-5 pieces of pancakes are served in the traditional banana leaf is a highlight for it. There exists Thai version but Laotian version is more custard than Thai’s one. 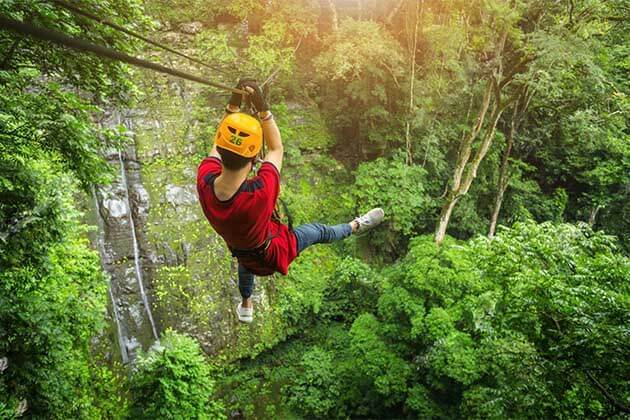 The last thing to be mentioned in the list and also the thing which we least recommend in case you have no other choices, Western Food has been divided into two options for non-vegetarian and vegetarian customer. 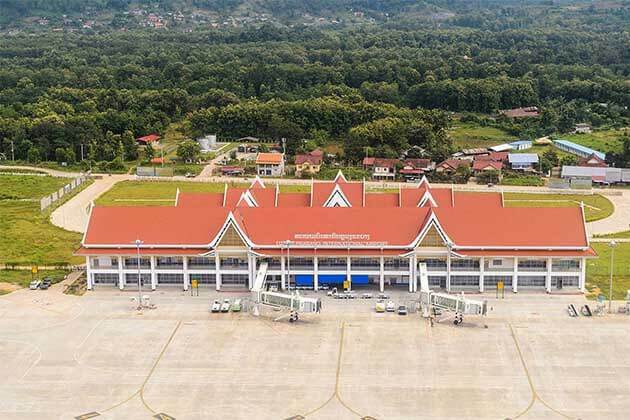 Absolutely, when traveling to Laos, you don’t want to eat the same dish in your hometown, but if it is too hard for you to enjoy a Laotian vegetarian dish, just come back to the original one you have had in hometown. In almost all western restaurants, they all offer vegetarian dishes. 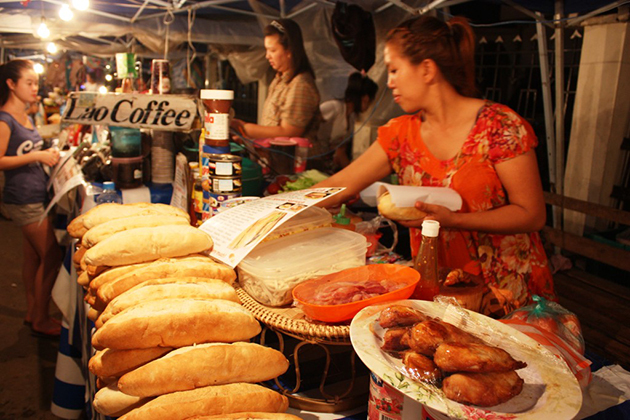 Food is for you to enjoy and don’t make vegetarian food become an obstacle during your Laos’ Tour.